When websites work, it’s a damn fine thing. People inquire and ask intelligent questions, demonstrating that they’ve already researched you, appreciate your sense of humour, know your opinions better than you do, and only have a small fear or insecurity which is easily overcome. A good website acts as your sales team, customer service department, PR agency, and client liaison. A good website ranks well on Google, bringing you plenty of free web visitors, and skillfully converting them into inquiries and new paying clients. Especially if you’re a small business or sole trader and hate selling, your business website is invaluable. High-quality web content on a well designed, well-navigated website helps sell your services with less and less need for you to be involved in the process. Imagine reaching strangers, making a wowing first impression, educating them on what you do and why it’s needed, and turning them into inquiries, new clients and active proponents, who refer further people to you. All while you do something else. It’s more than possible when you double-down on optimising your website with these three easy website fixes that bring disproportionately fabulous results. Most people spend 1.5 seconds thinking about what to put in their website navigation but this can have a massive effect on your website’s success – or failure. Confused web visitors don’t take the time to figure out where they need to go to find the information they’re seeking, they simply bounce away. Your website navigation, or main menu, is the only time I will ever advise you to be predictable, boring and do what everyone else is doing. People don’t want to think about where to click. They want to get to the information they’re seeking in as few a (predictable) clicks as possible. It’s the job of your navigation to facilitate this. You can have many more subpages, but for most service-based businesses, your main pages will be (left to right): home, services, about, blog, contact. Perhaps if you’re serving two or three distinct groups, you may forgo the ‘services’ page and use these groups in your navigation instead (eg: ‘adult dance’, ‘children’s dance’, or ‘for individuals’, ‘for organisations’). 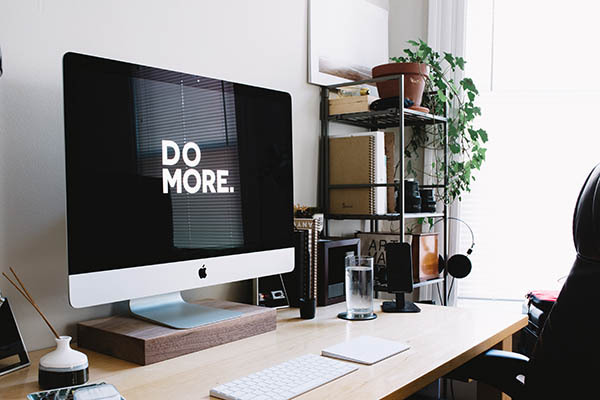 Most small businesses find it extremely difficult to grow because they’re spending far too much time on menial, repetitive, low-value tasks, which keeps them busy on the treadmill, staying exactly where they are. Your website is not just about selling. It’s also your customer service arm. Every search on Google is a problem seeking an answer. So state the problems that your business seeks to solve on your website. Not just once, but multiple times on multiple pages (this is where your blog is useful). Your prospects aren’t likely using the same words and phrases that you’re using to describe what you do, so stop writing industry jargon, weasel words, academic language and gobbledygook and start listening to your clients. Whatever search phrases people are using to find you on Google, make a point to use these further, throughout your web copy. As well as understanding exactly who your Ideal Client is, seek to better understand the customer journey: from vague searches for a solution to their problem at one end of the spectrum, to sophisticated buyers who’ve researched options, checked out your competitors, and are close to making a decision, just as soon as they have their last questions addressed, fears overcome and anxieties assured. Your website should cater to all stages of the buyer’s journey, educating people over time, from basic to intermediate and advanced information and insights. Remember, if you’re selling services, you’re selling ideas, perspectives, opinions, and promises. Show off your expertise and don’t be so stingy with sharing your ideas. Trust that people will come back to you once you’ve earned their trust. A pet peeve of mine is not being able to see what part of the globe a business is based in through their website. People want context. And they don’t want to get excited by your massage services only to finally find out that you’re on the other side of the world. State your city or town and country in the footer on every page of your site. If you’re swamped in emails, remove your email address from your website. If you hate getting phone calls or know that you’re not at your best on the phone, remove your phone number. Instead, optimise your website forms. If your website makes forms difficult or problematic to quickly implement, then consider using adjunct software such as Typeform, and embedding your Typeform forms into your site. Forms are a massive opportunity – done well, they educate people on your services and options (such as budget ranges), set expectations and boundaries, impress people, and make you memorable. Forms are fun (but only when you make them so). Treat website forms as part of your client onboarding process, enabling you to better quality your leads, solicit all essential information from people, kick off the briefing process, and give a great first impression. Ask for more than name, email and “your message”. Reduce your time spent in your inbox by ensuring that you’re quickly answering your FAQs directly above the form on your contact page. Your forms go on your contact page, perhaps your footer or sidebar (especially if they’re for subscribing to your email list), at the bottom of each of your sales pages, perhaps as an application form or questionnaire. Even your About page can have a form or questionnaire, since someone’s signified that they’re interested enough to venture here seeking further information. Forms are also imperative because not everyone who visits your site is going to be ready to buy. In fact, the vast majority will be visiting several times over before they even consider making contact. So your forms enable you to take control by asking for their information, rather than leaving your phone number and email address, thereby giving the power away. Your website will always be a work in progress. It needs to be changed, updated, edited and optimised further. And aren’t we lucky to live in an era that makes it so easy, cheap and accessible to be able to reach so many more people than ever before? So rather than worrying or procrastinating (otherwise known as “researching”), get stuck in. Do the first thing, then the thing after that.Write a list of jobs. Use a timer. Start with the biggest problem first, and go from there. Optimising your website is an ongoing process, but the good news is, the better your website, the less work you’ll need to do.